For the spring season, Nike will be giving us some fresh new colorways of the Flyknit Trainer silhouette. One of those added to the lineup is this “Blue Bottom” pair. Dressed in a Atmosphere Grey, Thunder Grey, and Wolf Grey color scheme. 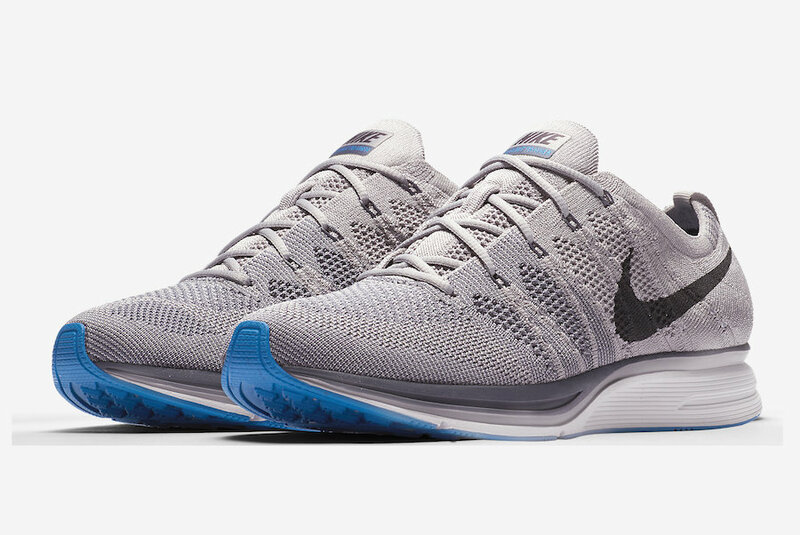 This Nike Flyknit Trainer features three shades of Grey throughout its Flyknit constructed upper. A White midsole, Blue rubber outsole and abstract graphic insole completes the design. Look for the Nike Flyknit Trainer “Atmosphere Grey” to release on May 5th at select Nike Sportswear retailers and Nike.com. The retail price tag is set at $150 USD.